The Shipwreck Coast featuring the Twelve Apostles and Loch Ard Gorge, is a Victorian and Australian icon and forms part of the Great Ocean Road, extending 28 kilometres from Princetown to the Bay of Islands, near Peterborough. The limestone cliffs and coastal formations are some of Australia’s best recognised and most visited natural features. Encompassing the Port Campbell National Park, the Twelve Apostles Marine National Park, the Arches Marine Sanctuary and the Bay of Islands Coastal Park, this narrow, fragile environment attracts 2.7 million visitors per year. Projected forecasts of visitation show that the Shipwreck Coast is expected to increase by 67 per cent over the next 10 years and a large share of the growth in visitation is expected to come from international visitors, particularly from new emerging markets across Asia. In December 2015, the Victorian Government released the Shipwreck Coast Masterplan - a comprehensive program to protect the fragile coastline between Princetown and the Bay of Islands, improve opportunities for visitors and strengthen the local economy and employment opportunities through sustainable tourism. The Masterplan vision covers how public land is managed and aims to provide confidence for business investment along the Shipwreck Coast and Hinterland. 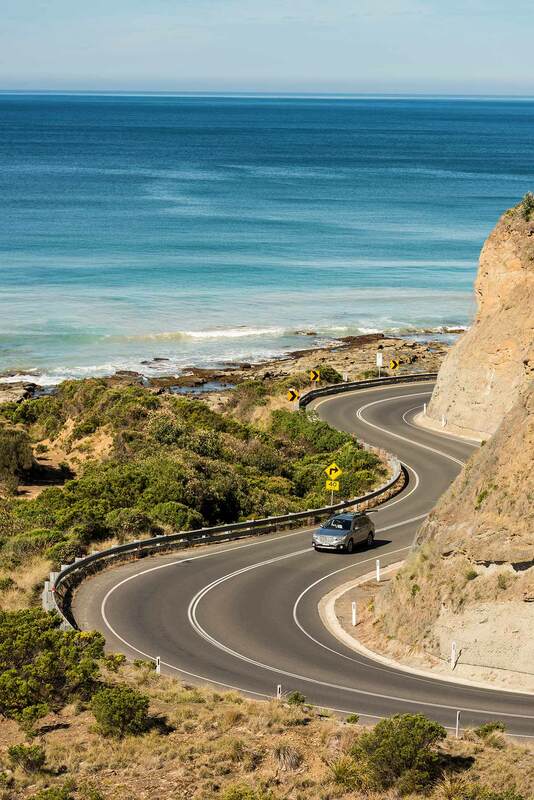 With visitor numbers to the Great Ocean Road and Shipwreck Coast continuing to grow rapidly, improved visitor infrastructure, facilities, services and experiences are required. These improvements will integrate with existing works at the National Park which is delivering infrastructure such as elevated walkways and viewing platforms to protect the environmental and cultural values of the coastline. The Masterplan is a key part of the Victorian Government's Visitor Economy Strategy. It aims to protect, enhance and celebrate the Twelve Apostles, one of Australia's most recognisable and visited natural attractions. The Masterplan is multi-faceted, comprising 72 projects and initiatives, which will guide investment in facilities and infrastructure over the longer term. Stage One of the Masterplan is currently under construction and due for completion in 2020. The works include new lookouts, a pedestrian bridge, connecting trails and improved telecommunication facilities. The Shipwreck Coast Master Plan is being delivered through a partnership approach with the Department of Jobs, Precincts and Regions (DJPR) and the Department of Environment, Land, Water and Planning (DELWP) in collaboration with Parks Victoria. The Twelve Apostles Precinct has been identified as the highest priority project of the Shipwreck Coast Masterplan. It will deliver a Visitor Experience Centre which will become the main entry point and gateway for those visiting the Twelve Apostles. The Precinct will also become a centre point for the dispersion of visitation throughout the Shipwreck Coast. The Twelve Apostles Precinct will significantly shift the way visitors experience south west Victoria’s internationally renowned tourism sites – paving the way for more supporting infrastructure and amenities together with a more streamlined and simplified approach of seeing nature’s greatest attractions. The Victorian Government has committed $1.5 million to progress work within the precinct for detailed master planning.